This year, TCB-NA launched the first Tourism Sponsorship and Co-op Advertising Program with TripAdvisor, the world’s largest travel website with over 200 million reviews and 70+ million members. 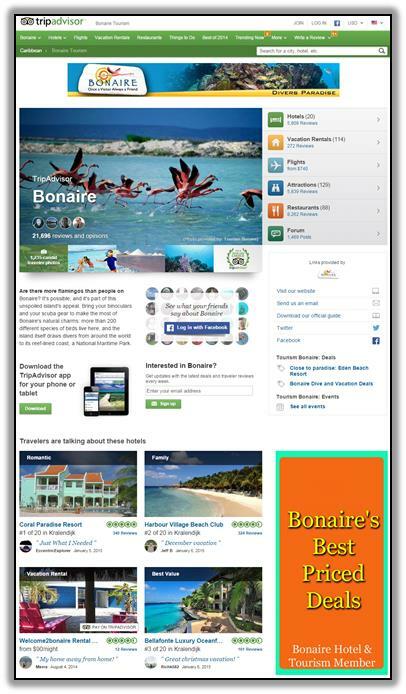 The Bonaire Home Page on TripAdvisor holds a wealth of information including photos, videos, links to special promotions, hotel packages and events taking place this year on Bonaire. 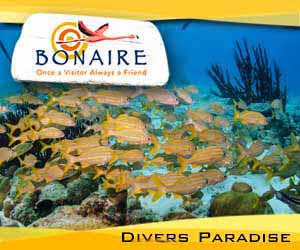 Getting into the Bonaire conversation and/or posting reviews and photos from recent visits is simple. Active travelers can go to www.tripadvisor.com and search Bonaire in the search bar. Once they click on Bonaire, Caribbean, North America (not Bonaire Hotels or flights) they’ll be well on their way to researching and planning their trip to Bonaire. Targeted display banners are running throughout the year on our destination pages and that of competitive destination pages. Diving, watersports, eco-adventure and cuisine are only some of the segments we will be reaching during the campaign. We are promoting our new partnership via social media and through digital and traditional communication channels. We would like to thank our partners for their support and encourage everyone to visit Bonaire’s Home Page on TripAdvisor and visit often!